Exhibition Dates: May 3–21, 2017. 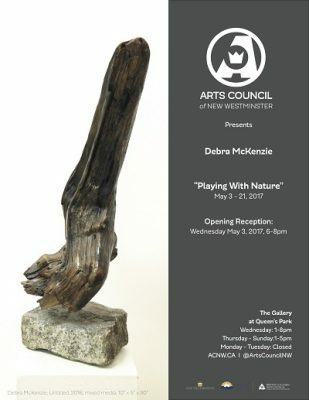 The Gallery at Queen’s Park is pleased to present Debra McKenzie. The objects of Debra McKenzie’s solo exhibition, “Playing with Nature”, come from the natural environment in their purest form. McKenzie’s hand is demonstrated in her work through sandblasting, carving, burnishing, waxing, and painting her assemblages. In altering found objects, McKenzie sees herself simply enhancing Mother Nature’s work. Primarily drawing inspiration from empirical sources, McKenzie’s practice is also influenced by her interest in Aboriginal arts and culture through her close work at The Prince George Native Friendship Centre, as well as environmental artists such as Andy Goldsworthy. 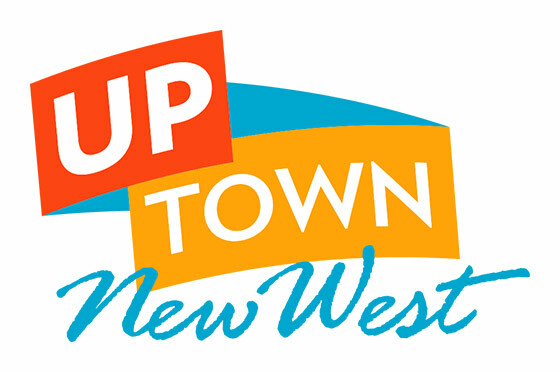 Debra McKenize was born in Vancouver and grew up in North Central B.C. She studied art at the College of New Caledonia and Malaspina University-College. While living in Prince George, McKenzie was an owner of Blue Door Studios, and the studio gallery Artistic Differences. Throughout her career, McKenzie continued her interest in the arts through teaching art to children, teens, and seniors. Her practice primarily consists of mixed media sculptures and two-dimensional drawings and paintings of her explorations of nature, texture, and emotions.